The South East Physics network (SEPnet) and Higher Education Funding Council for England (HEFCE) have announced their plans to invest £13.1 million pounds to sustain physics undergraduate and postgraduate teaching provision, and world class research facilities, staff and doctoral training over the five years up to 2018. HEFCE will provide £2.75 million to maintain and expand the network, to establish a dedicated regional graduate training programme for physics postgraduate students and address student participation and diversity issues in physics. On top of the HEFCE contribution, each SEPnet partner will support and fund programmes of outreach, employability and research. 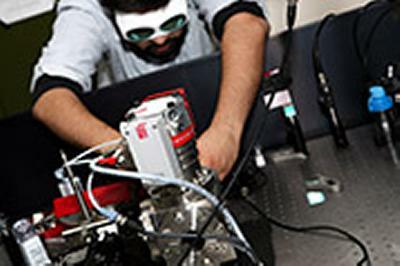 SEPnet was formed after receiving a £12.5 million grant from HEFCE in 2008 as a network encompassing Rutherford Appleton Laboratory and six physics departments in South East England at the Universities of Kent, Queen Mary University of London, Royal Holloway University of London, Southampton, Surrey and Sussex. The Science and Technology Facilities Council and Rutherford Appleton Laboratory provided additional funds and resources for collaborations in particle physics (the NExT institute) and astrophysics (the LOFAR experiment). The University of Portsmouth joined in 2010. The Open University and the University of Hertfordshire will join the network on 1 August 2013. SEPnet Phase One has been tremendously successful for the partners in SEPnet and for physics in the region. The Outreach programme, regarded as an exemplar for collaborative outreach, uses the combined knowledge and resources of each partner to provide greater impact and reach and demonstrates that the whole is greater than the sum of its parts. It has succeeded in effectively exploiting the growing national interest in physics through its wide range of public engagement and schools activities. There has been a substantial increase in applications and intake for physics undergraduate courses and undergraduate numbers are now 90 per cent higher in the SEPnet physics departments compared with 2007 and applications up approximately 115 per cent - well above national trends. 2. Expansion of its employer engagement and internship programmes, widening the range of work experiences available to enhance undergraduate (UG) and postgraduate (PG) employability and progress to research degrees. 3. Enhancement of its Outreach Programme to deliver and disseminate best practice in schools and public engagement and increase diversity in physics education.